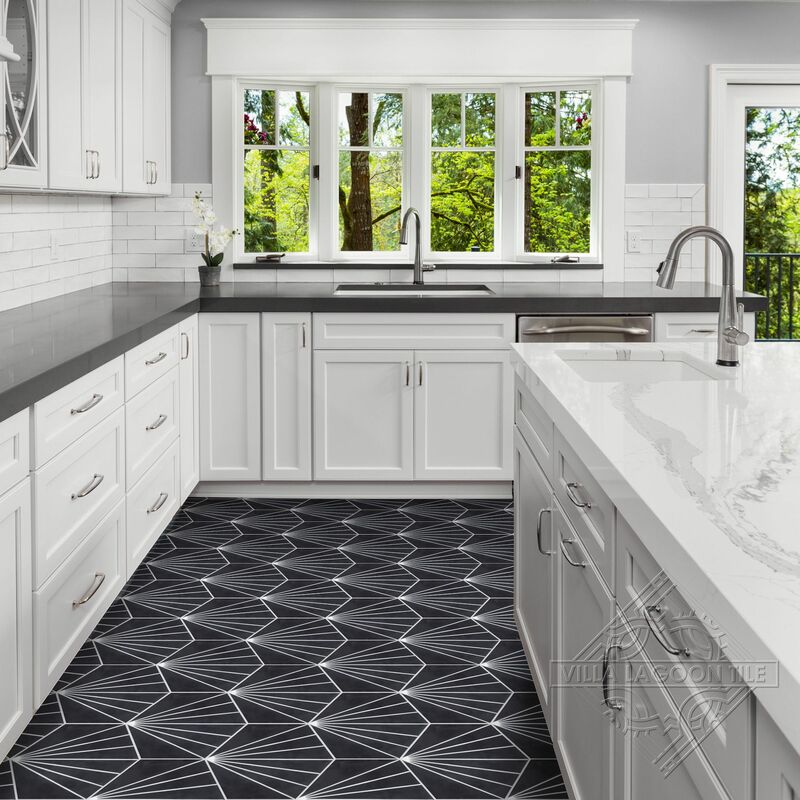 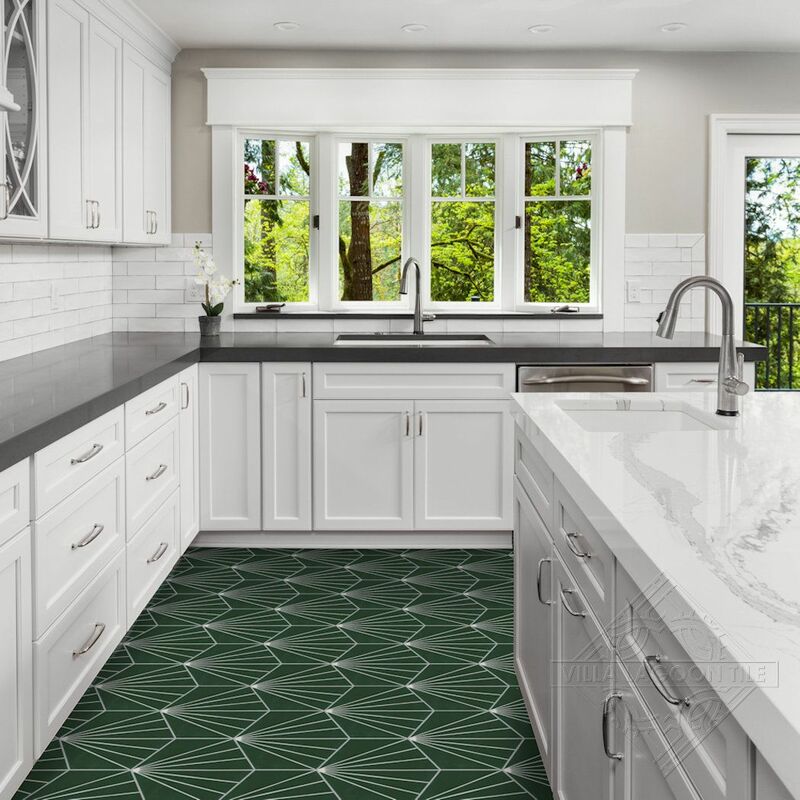 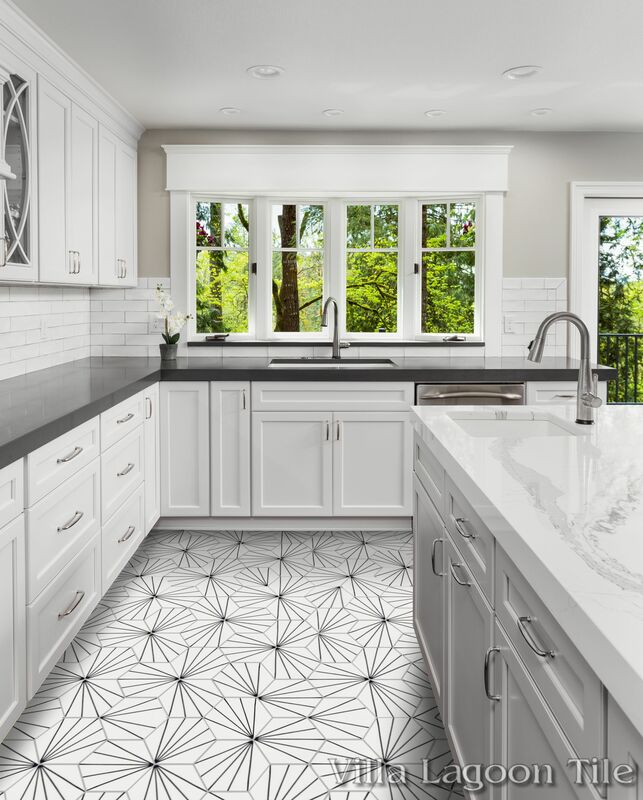 This geometric cement tile design we call "Spark literally radiates — streaking beams from one corner to the other, for a bold, modern look. 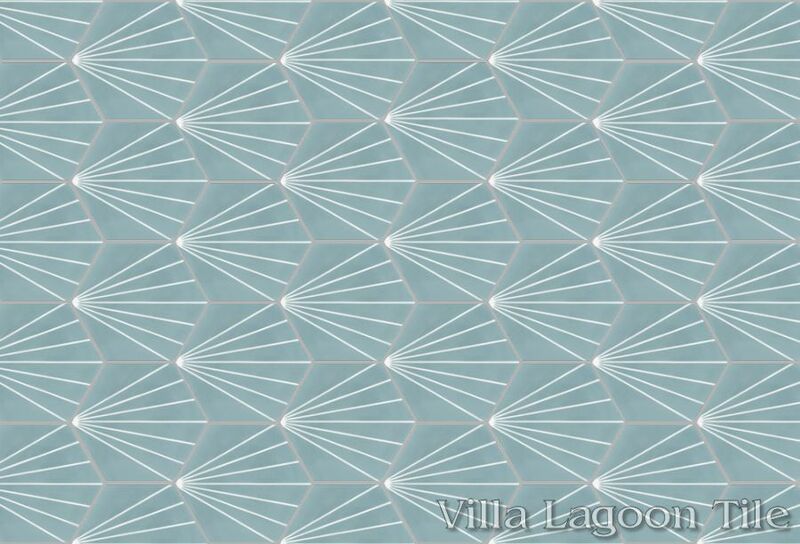 Villa Lagoon Tile's "Spark C" cement tile pattern using Aegean blue and White from the South Beach Palette. 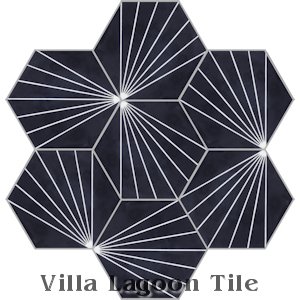 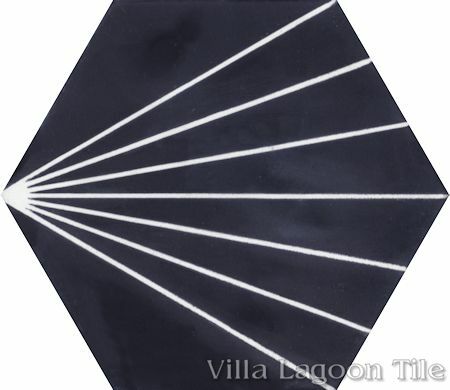 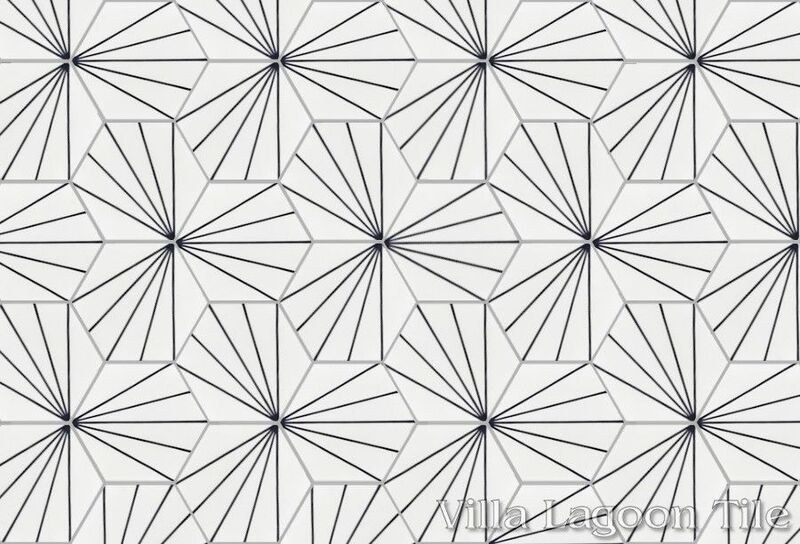 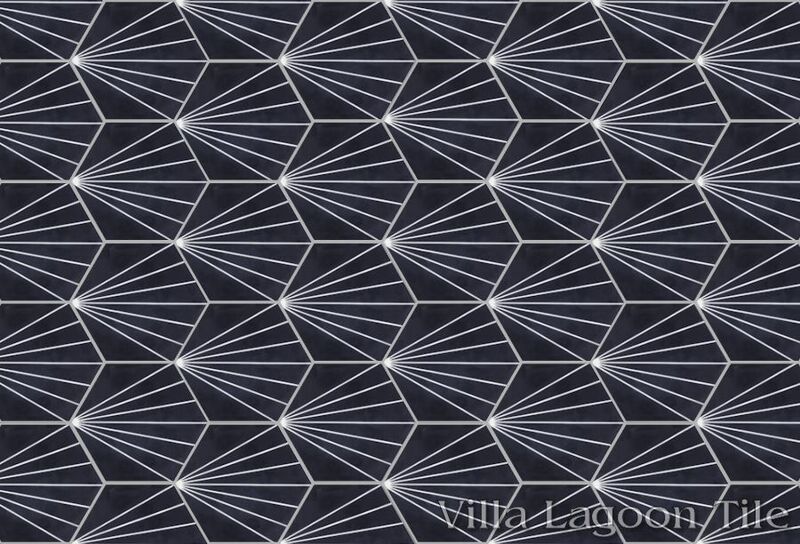 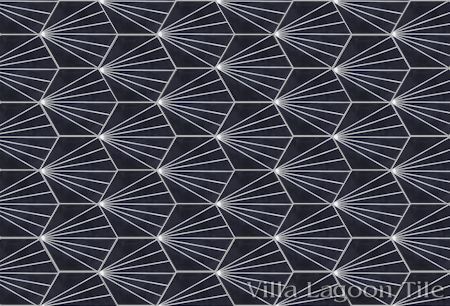 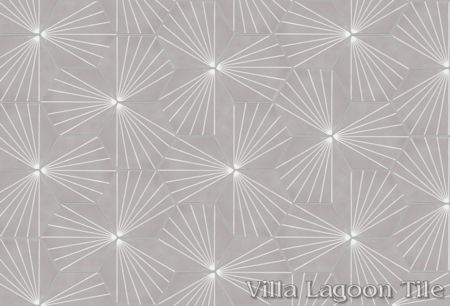 Villa Lagoon Tile's "Spark C" cement tile pattern using Black and White from the South Beach Palette. 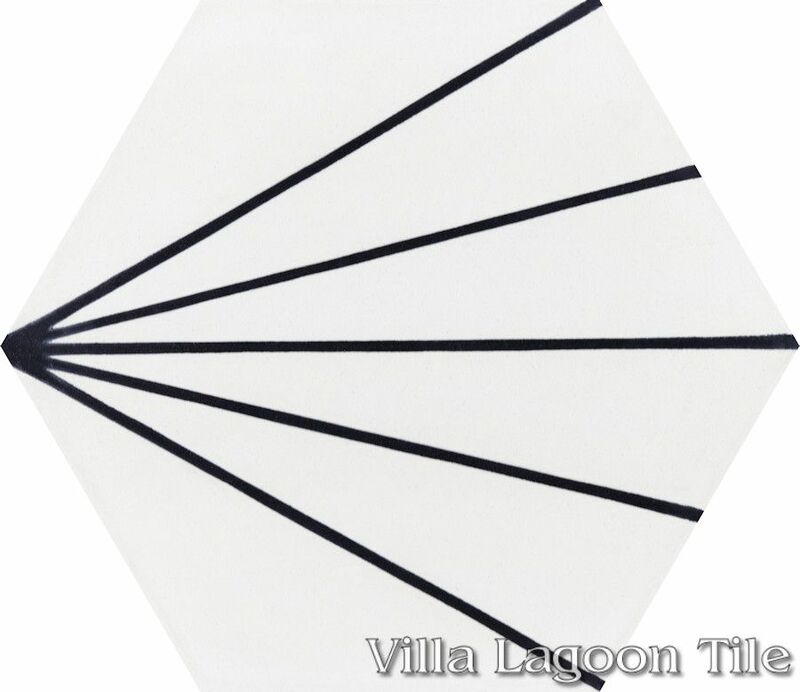 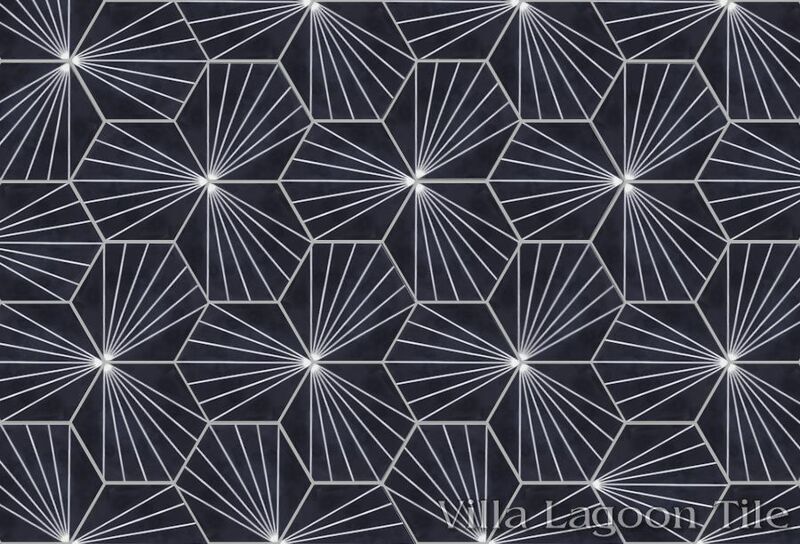 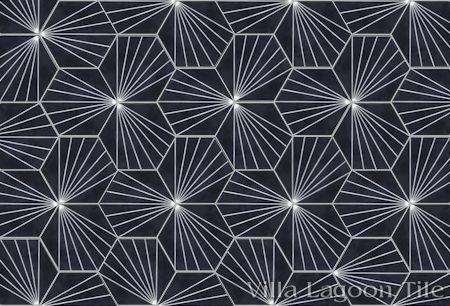 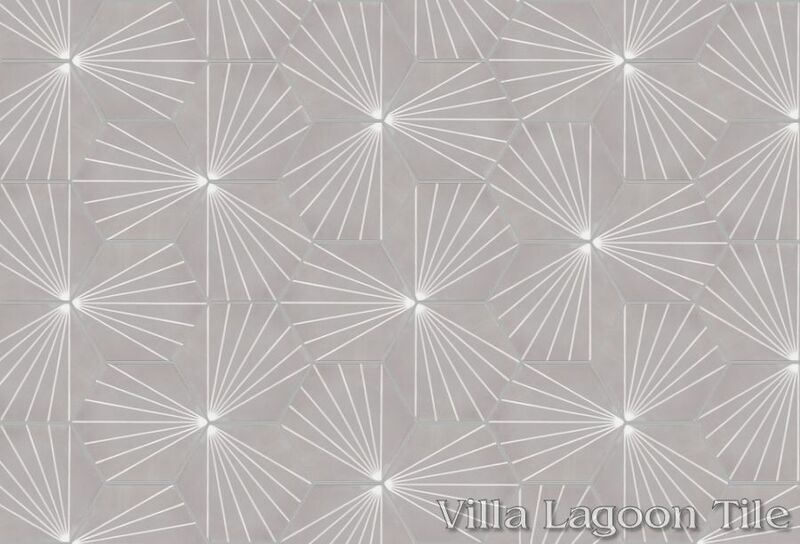 Villa Lagoon Tile's "Spark B" cement tile pattern using Black and White from the South Beach Palette. 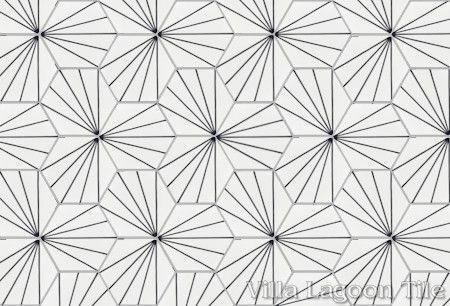 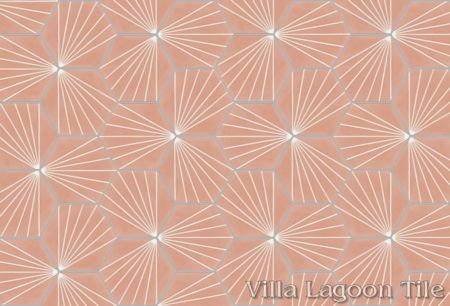 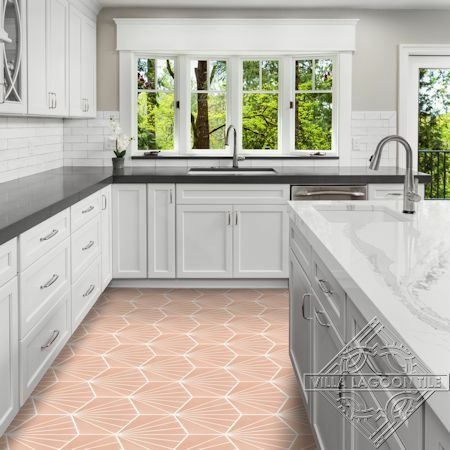 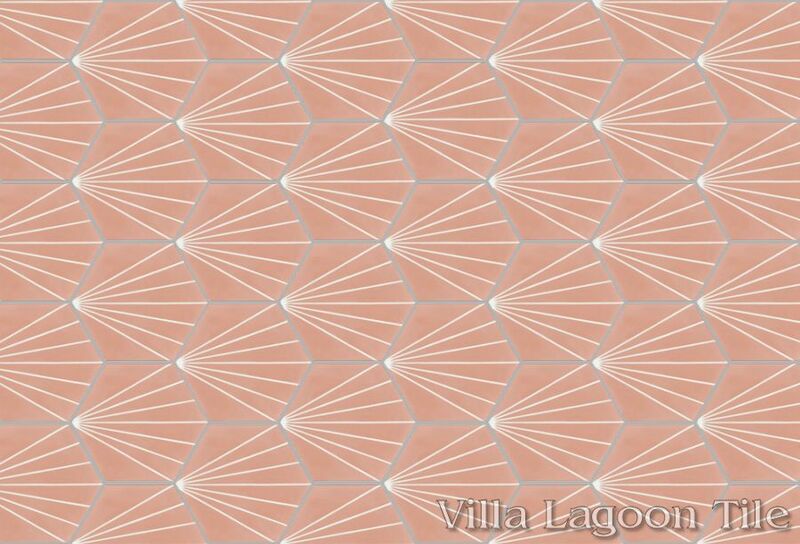 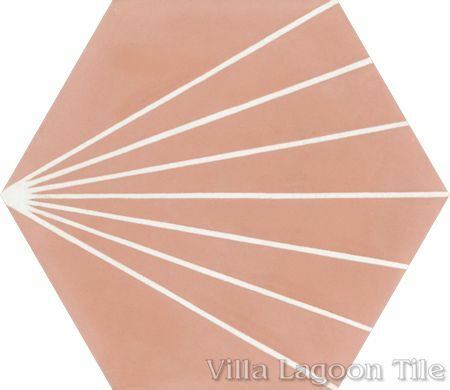 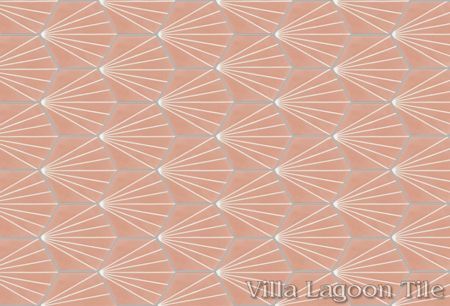 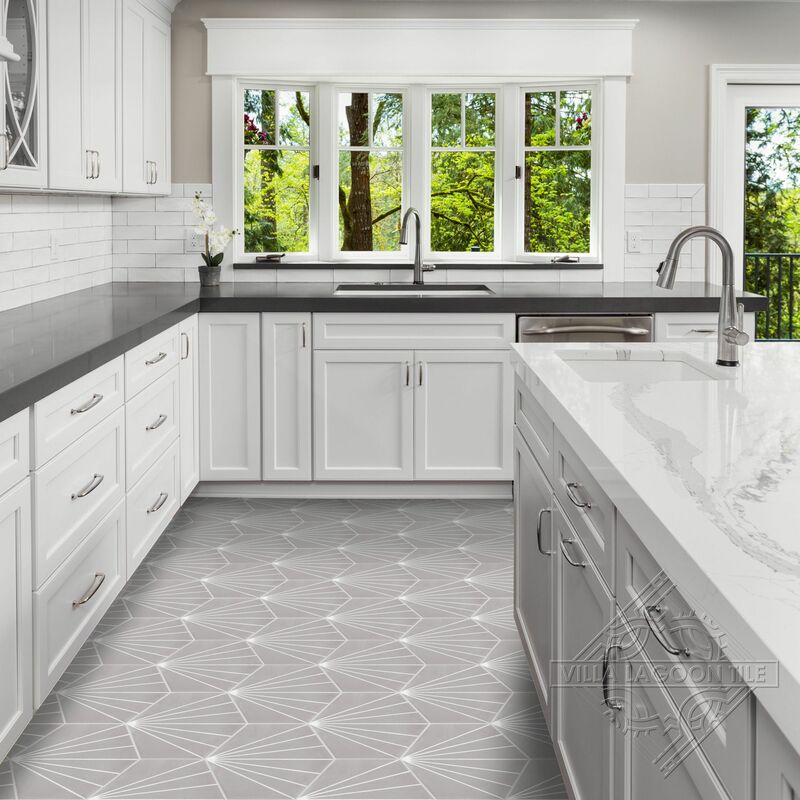 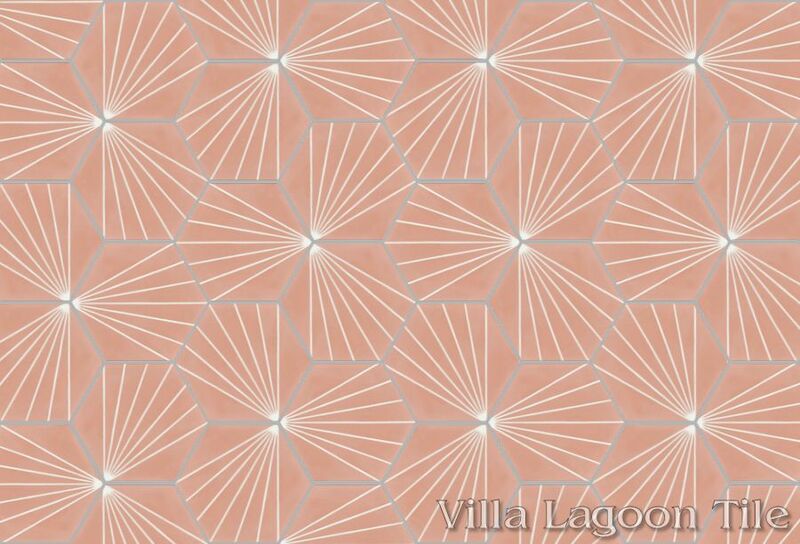 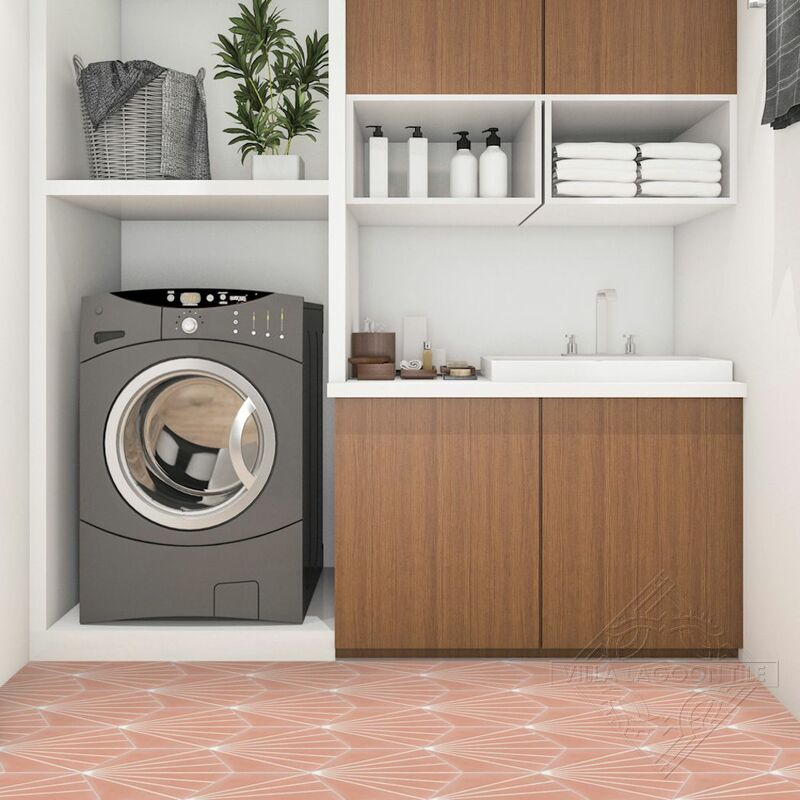 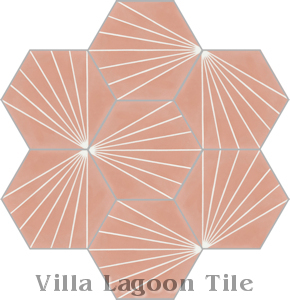 Villa Lagoon Tile's "Spark C" cement tile pattern using Smoky Coral and White from the South Beach Palette. 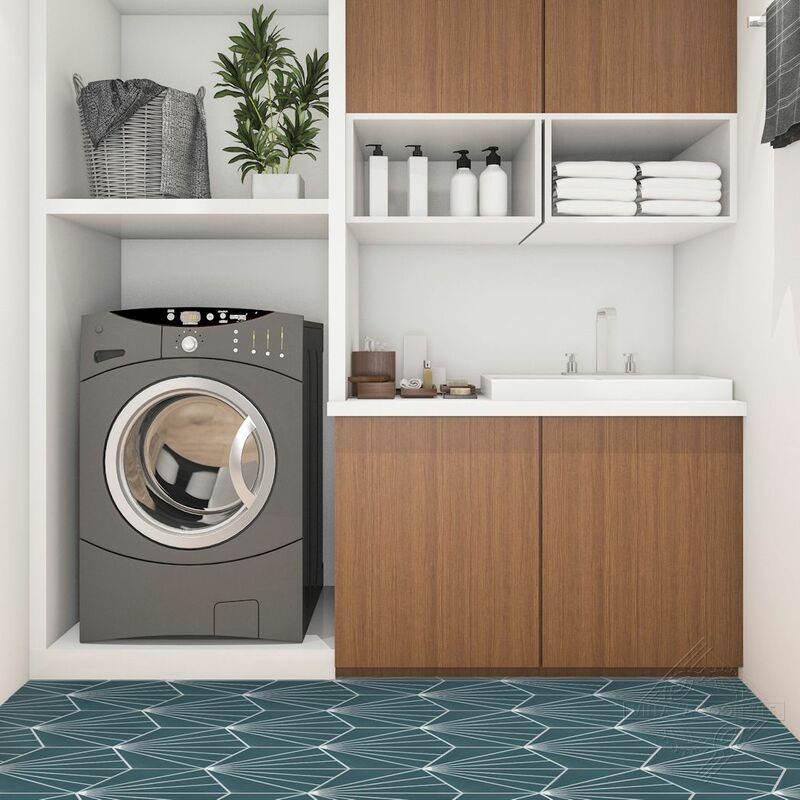 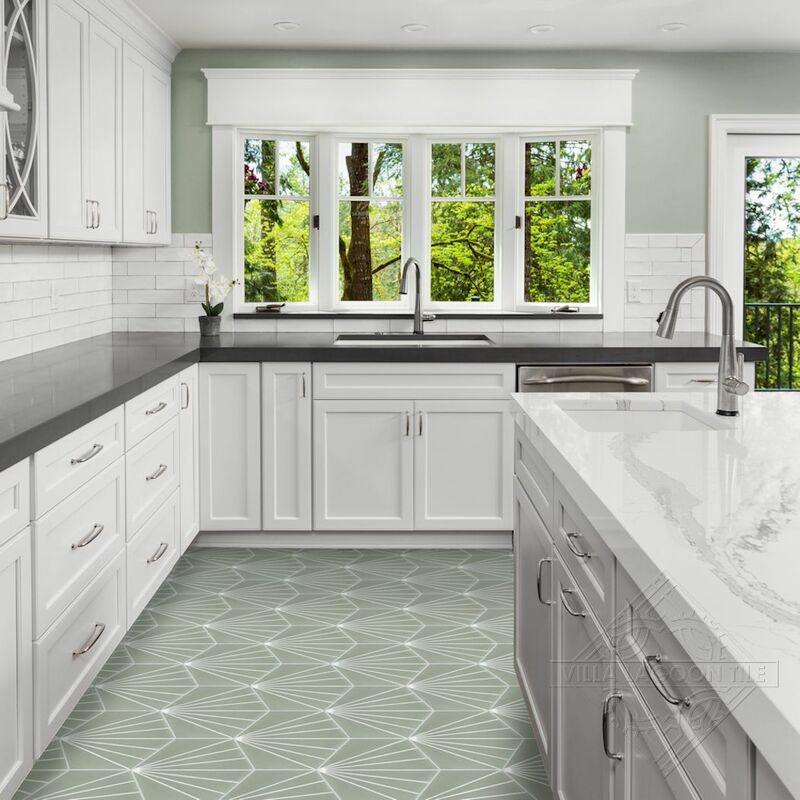 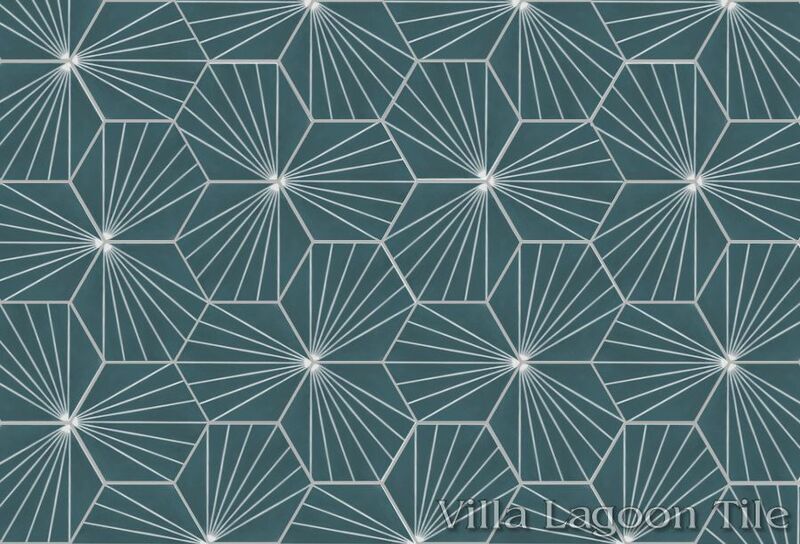 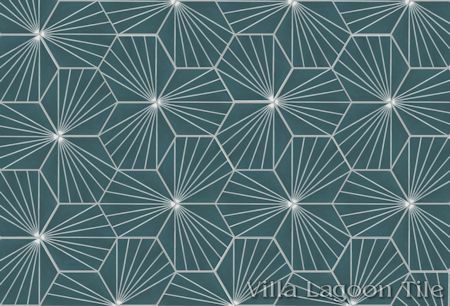 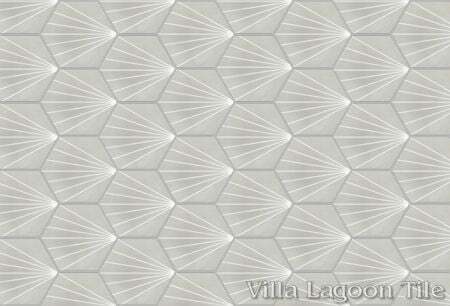 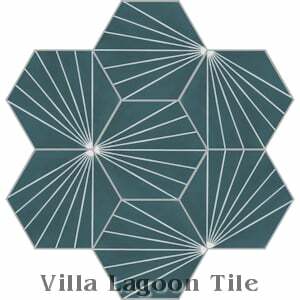 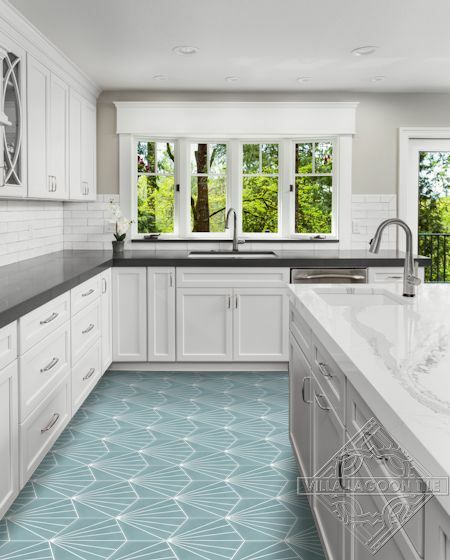 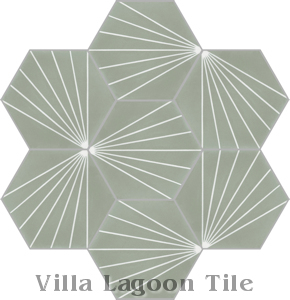 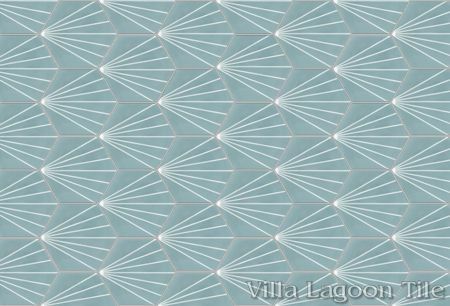 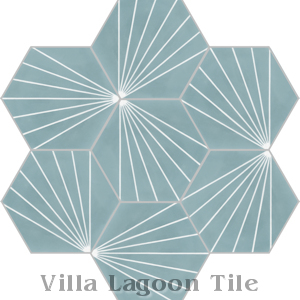 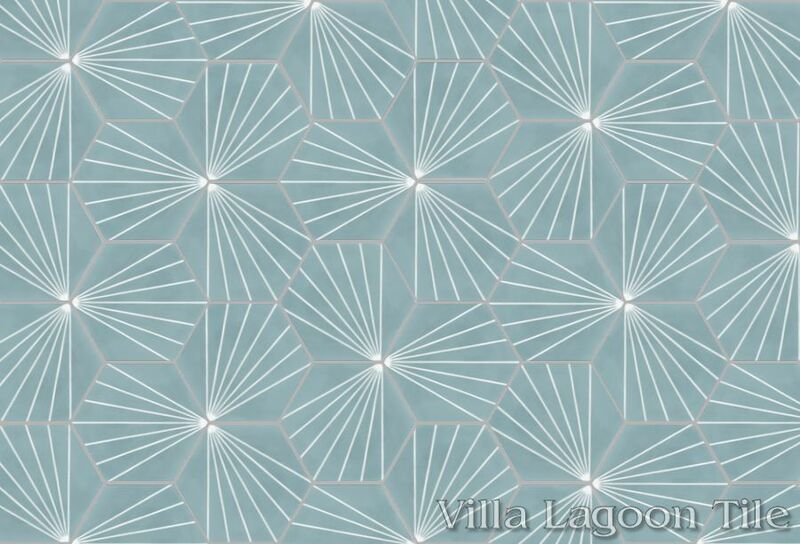 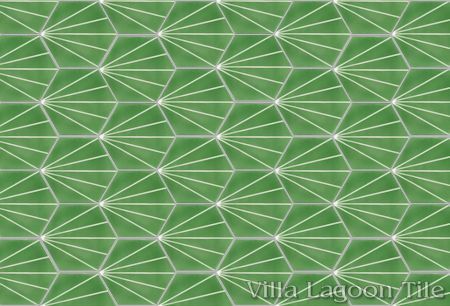 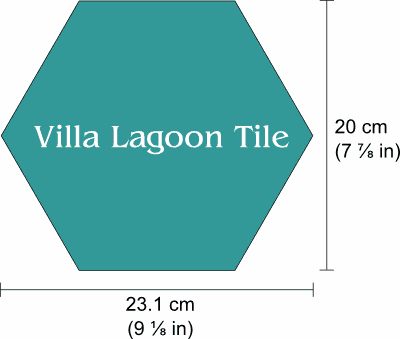 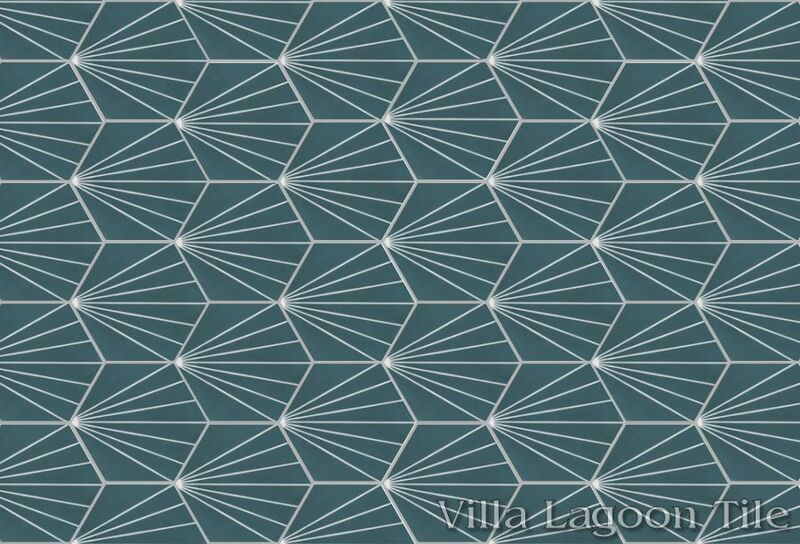 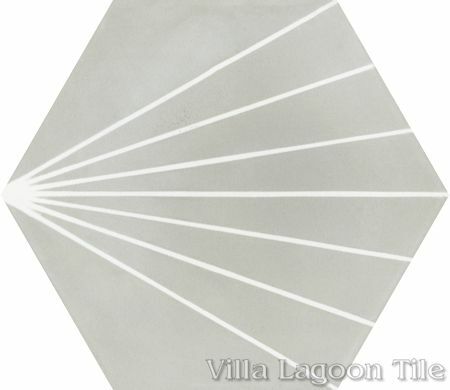 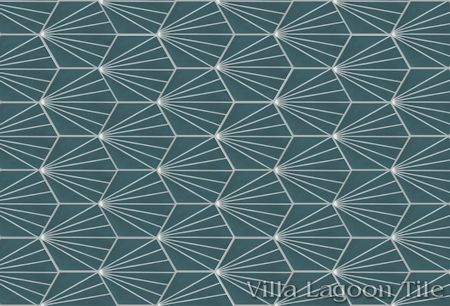 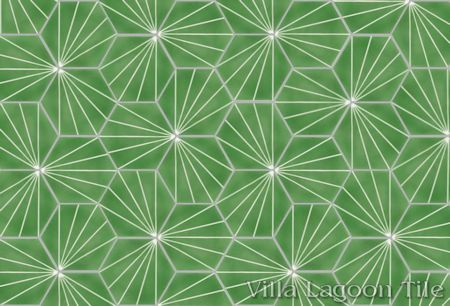 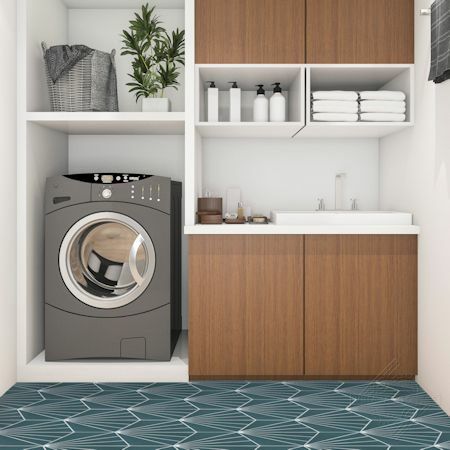 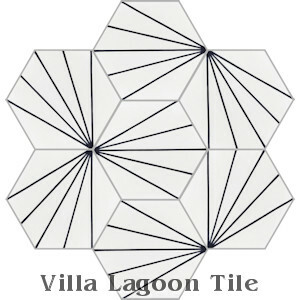 Villa Lagoon Tile's "Spark C" cement tile pattern using Pale Jade and White from the South Beach Palette. 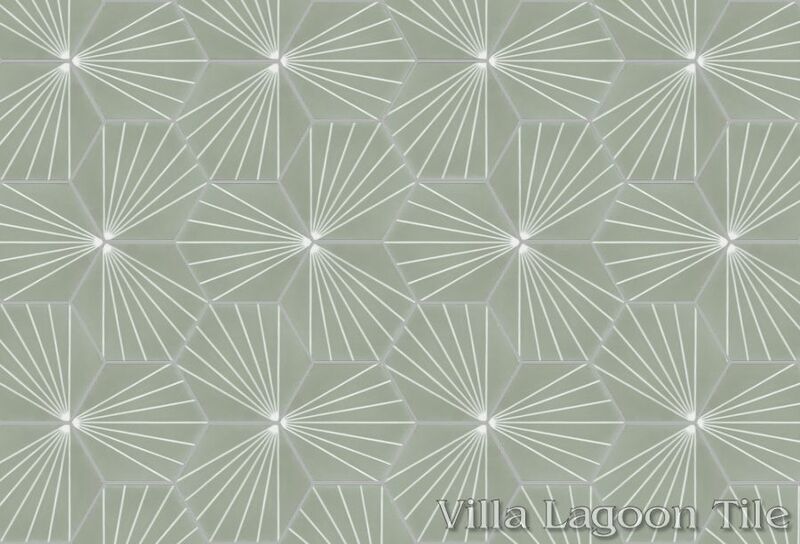 Villa Lagoon Tile's "Spark B" cement tile pattern using Monte Verde and White from the South Beach Palette. 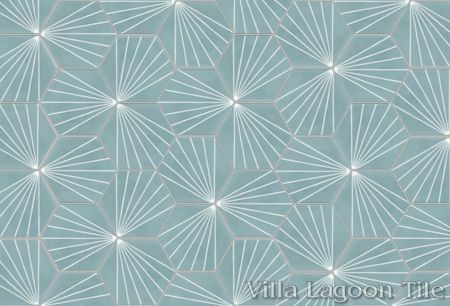 Villa Lagoon Tile's "Spark C" cement tile pattern using Stone Blue and White from the South Beach Palette. 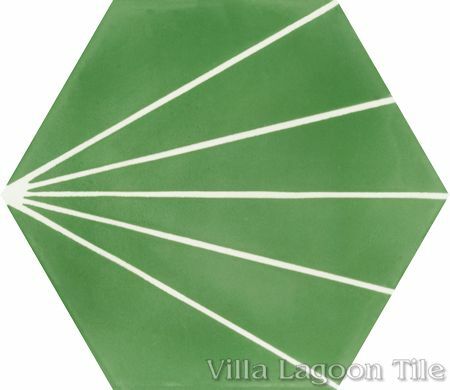 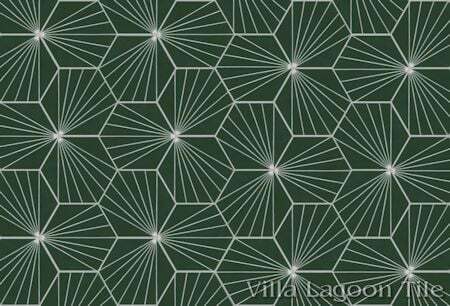 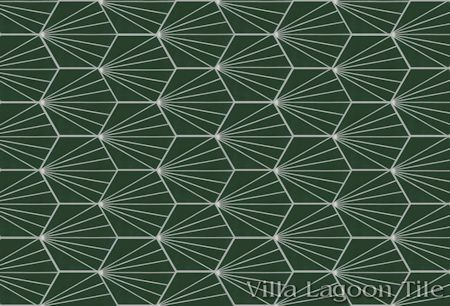 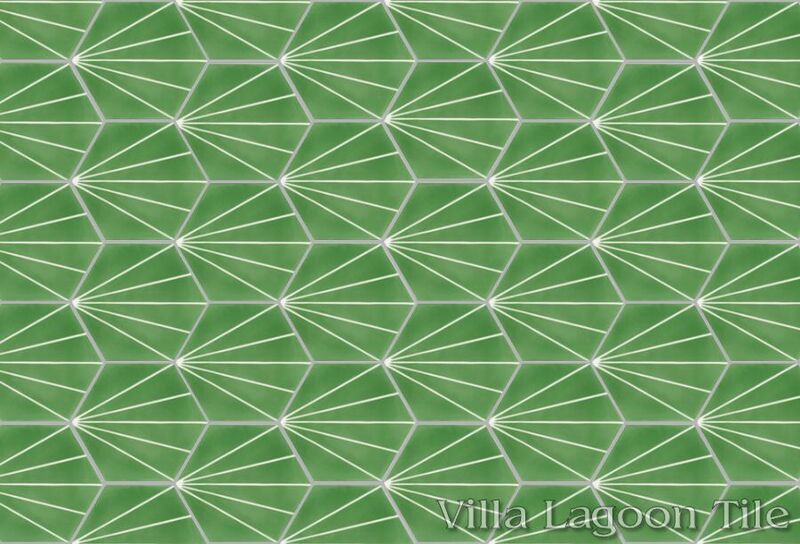 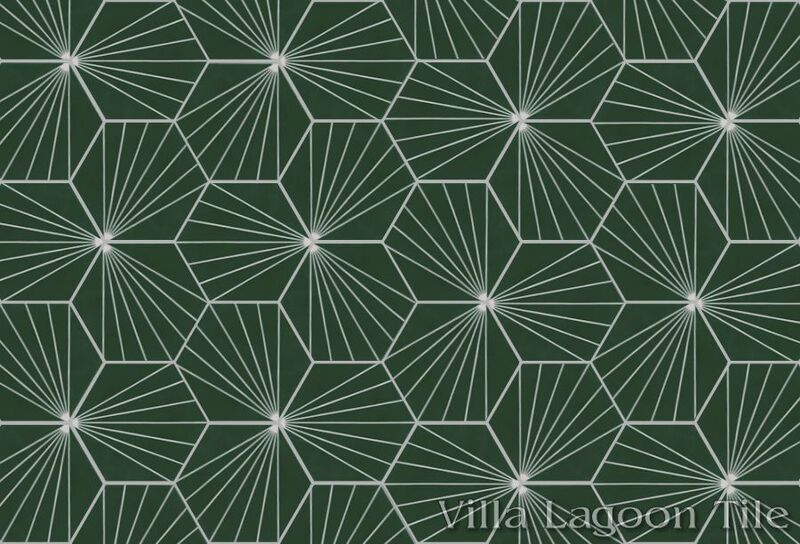 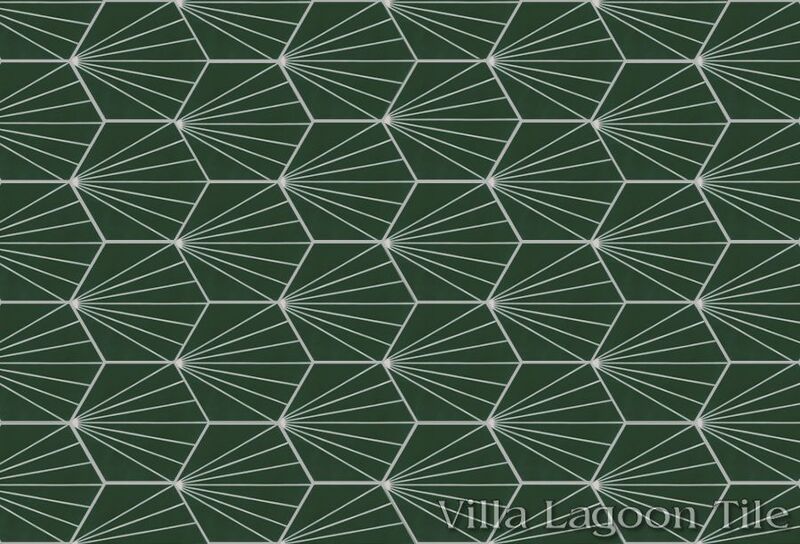 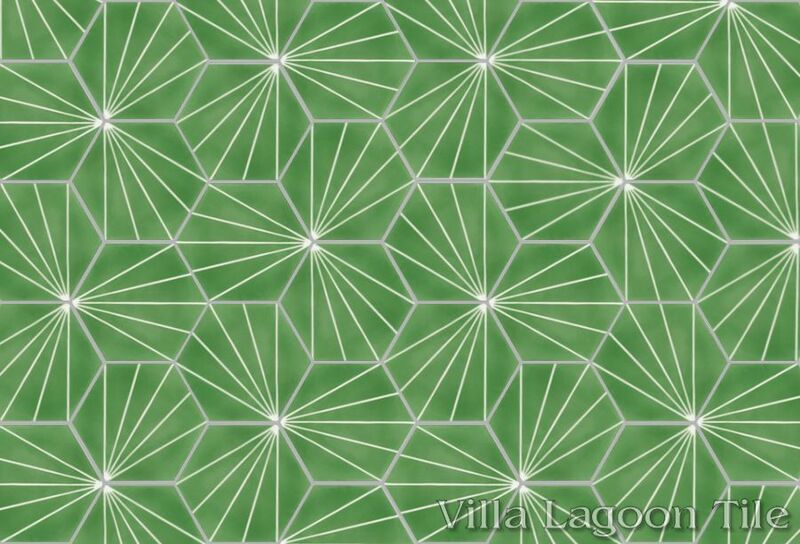 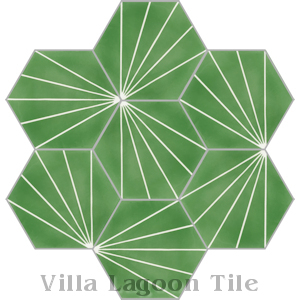 Villa Lagoon Tile's "Spark C" cement tile pattern using Ponderosa green and Putty gray from the South Beach Palette. 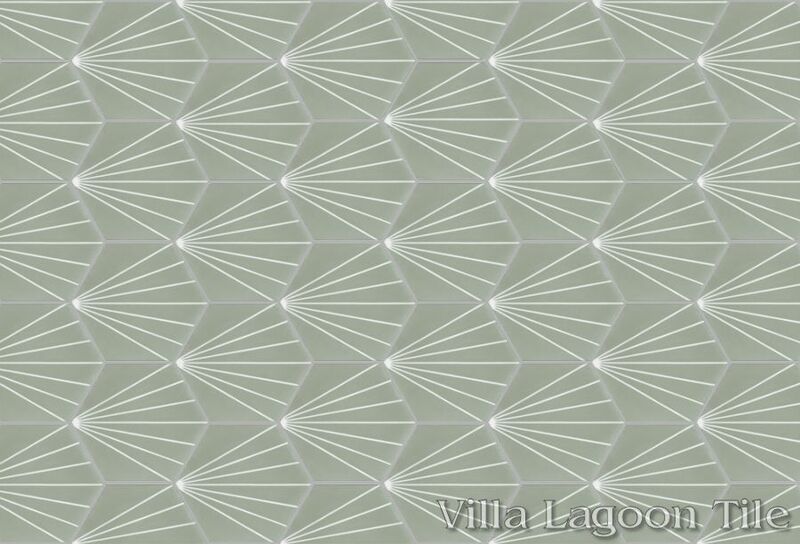 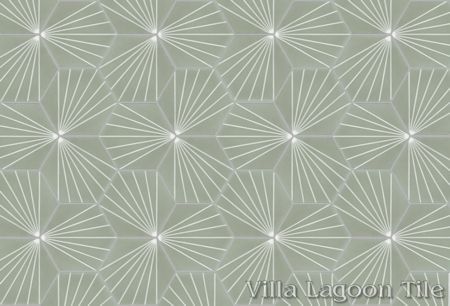 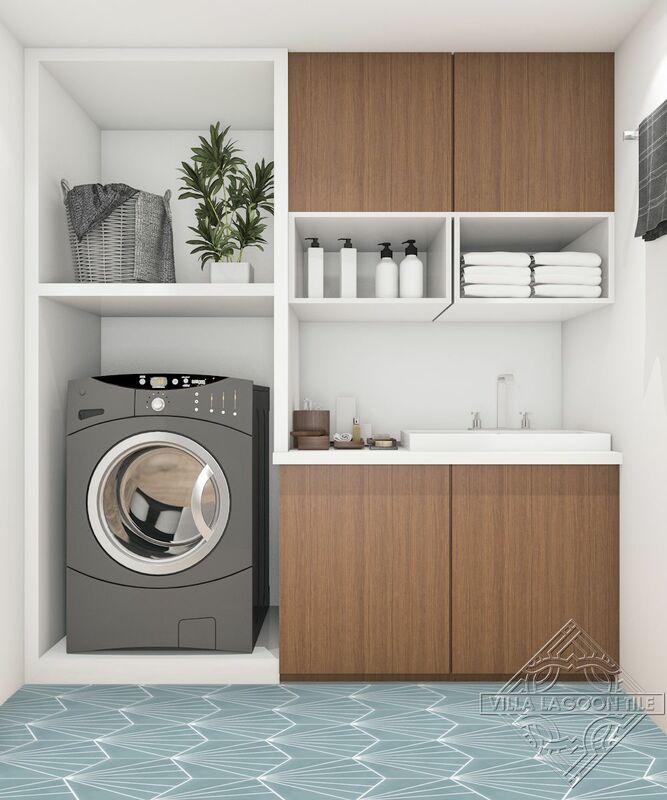 Villa Lagoon Tile's "Spark C" cement tile pattern using Urban Gray and White from the South Beach Palette.